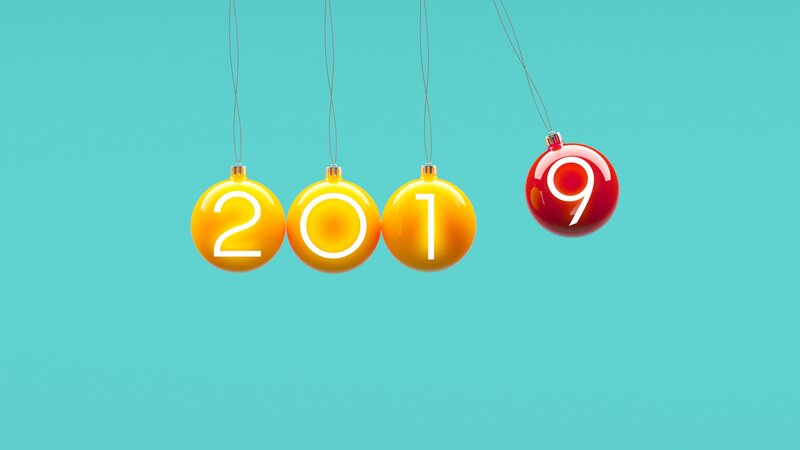 How to set — and maintain — New Year’s resolutions that can improve your mental well-being. Of course, for many people the challenge isn’t so much about which goals they want to set for themselves, as much as it is how they are going to keep up with them. So at the end of this list you’ll find four research-based tips on how to maintain your resolutions if you should find yourself running low on motivation a few weeks in. Get more happiness for your money. Studies show little connection between wealth and happiness, but there are two ways to get more bang for your happiness buck – buy experiences instead of things and spend your money on others. The enjoyment one gets from an experience like a vacation or concert will far outweigh and outlast the happiness from acquiring another material possession. Doing good things for other people strengthens our social connections, which is foundational to our well-being. Sweet dreams. Get a full night’s sleep on a regular basis. Our brains are doing a lot of important work while we sleep, including strengthening neural circuits that strengthen mental acuity and help us regulate our moods when we are awake. Sleep deprivation severely impairs our ability to stay on task at work, and often is the prelude to an ill-tempered day. Limit time on social media. Facebook and Instagram often exaggerate how much better off others are compared with how we might feel about ourselves at the moment. Many studies have shown that too much time spent on social media usually is associated with lower levels of self-esteem, optimism, and motivation while leaving people feeling — ironically enough — less socially connected to others. Reach out and connect with someone. Nothing is more important for our psychological health than high-quality friendships. Find an activity that allows you to get together with friends on a regular, ongoing basis. A weekly happy hour, poker night, or TV show ensures consistency and momentum in your social interactions. People with high-quality relationships are not only happier, they’re also healthier. They recover from illnesses more quickly, live longer, and enjoy more enriched lives. Identify an important reason why you are resolving to change something in your life (e.g. “This will improve my health,” or, “This will advance my career”). Research shows that reminding yourself of how your daily behaviors fit into big-picture goals will keep you motivated to stay on track. Think about the potential barriers that might get in the way of implementing your goals (you might get lazy, tired, forget, or lured away by another temptation), and then identify contingency plans for how you will respond in those moments: “When I start getting distracted in the middle of a big work project, I’ll give myself a quick break and then remind myself how rewarding it will feel to be finished with it.” Better yet, select environments that are free from distractions altogether. If you know you’re always tempted to surf the web while completing work, take your laptop to a place where there’s no WiFi and leave your phone out of reach. Set specific dates and times when you will incorporate the behavior — when you make a schedule for new behaviors you’d like to incorporate into your life they require less psychological strength to implement. When you get in the habit of running every Tuesday and Thursday morning, the behavior becomes much easier to initiate because it simply becomes part of your routine, like brushing your teeth or taking the dog on a walk. Make your goals measurable, break them up into smaller sub-goals, and the reward yourself each time you hit a particular milestone. If your goal is to lose 50 pounds in the new year, treat yourself to a movie or other fun outing for each 5 pounds you lose. If you find your original goal was too ambitious, it’s OK to scale back. If you realize losing 50 is unrealistic, see what you can do to lose 15 or 20, and then build from there. Tim Bono, PhD, is a faculty member in the department of Psychological & Brain Sciences at Washington University in St. Louis. Over the last decade, thousands of students have taken his popular courses on the Psychology of Young Adulthood and the Science of Happiness. He summarizes the research from those courses, along with how his students have put that information into practice in their own lives, in his new book, "When Likes Aren't Enough: A Crash Course in the Science of Happiness."